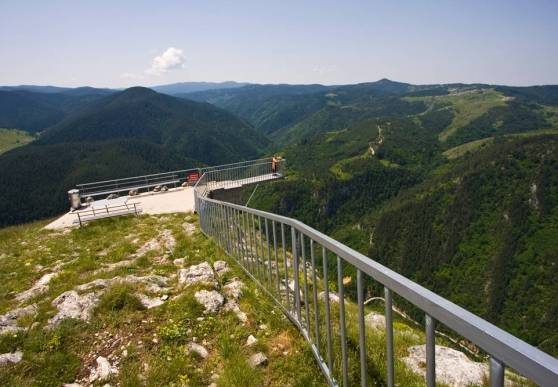 The panoramic platform Eagle Eye is favourite attraction оf the tourists in the region of Western Rhodopes. The facility was built to enable tourists to enjoy the magnificent views of Buinovo Gorge, the hills of the Rhodope Mountains and even Rila and Pirin. The panoramic site Eagle Eye is built on the top of Mount St. Eliah at a height of 1563 m. and is unique for Bulgaria. The picturesque Buynovo Gorge weaves underneath the platform. You can reach the platform by terrain vehicles or on foot. The platform is built in 2009 by the Tourist Association Rodopeya.